It’s the height of conference season, and I was delighted to travel this week to Oregon for the Organicology Conference, a three-day gathering of folks from all across the organic food chain in Portland, OR. The event seeks to bring all stakeholder groups to the table to not only develop skills in their own areas of activity but to gain exposure to the challenges and accomplishments of those in other areas of the organic movement. The great takeaway? There are many different opinions on what organic should look like, but the more united we become, the stronger our movement will be. And without supporting the next generation of organic farmers, the organic movement cannot continue! 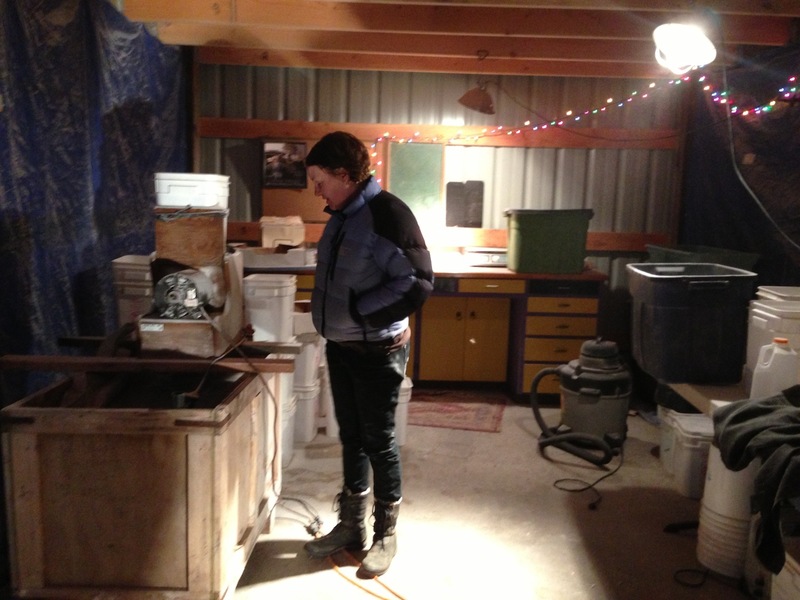 Excited to meet the brilliant and innovative young farmers of the beaver state, I rented a car and started touring. I met with Leah and Nellie of Oregon’s FarmON!, a one-year old coalition of young and beginning farmers in the state and a proud affiliate of NYFC. I had a drink with Megan Fehrman of the Rogue Farm Corps which has a beginning farmer training program down in Ashland, OR and Dan Bravin from the Beginning Urban Farmer Apprenticeship (BUFA.) BUFA is a partnership between Multnomah County and Oregon State University (OSU) Extension Service and trains 20 urban farmers each year. 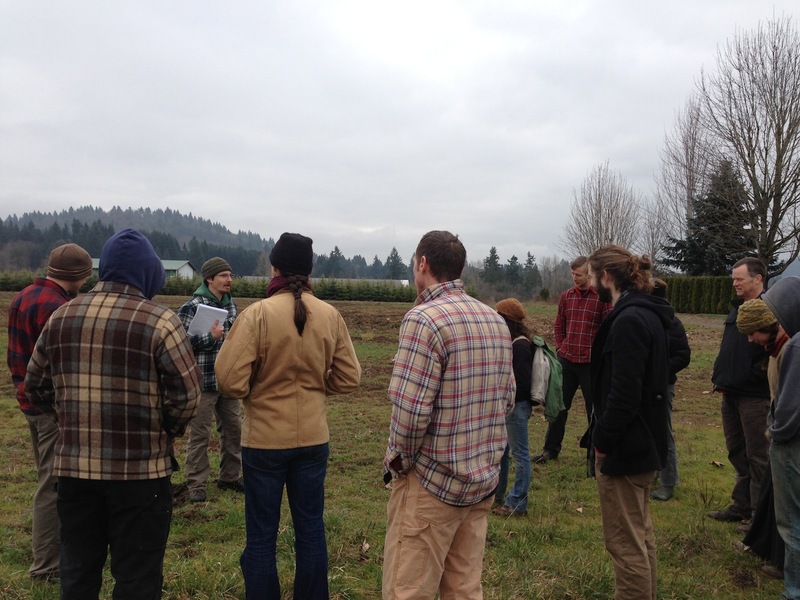 Rowan Steele, who co-owns Fiddlehead Farm with his wife Katie Coppoletta, is starting a brand new incubator program- Headwaters Farm Incubator- on land leased by the East Multnomah Soil and Water Conservation District. I joined in for a tour of the land, and was inspired by the excitement of the potential incubatees. 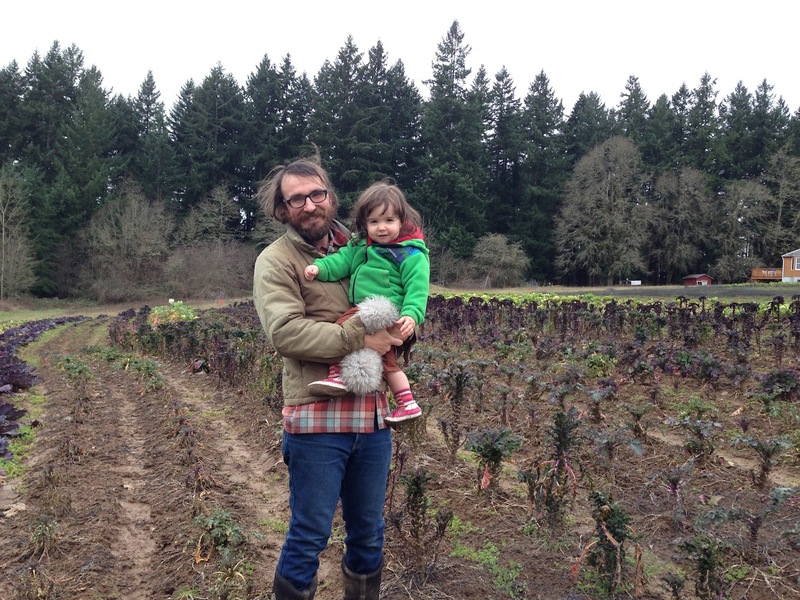 Danny Percich and his 16-month old daughter Ramona showed me around Full Plate Farm, their Winter CSA farm 30 min. north of Portland in Ridgefield, Wa. I was thrilled to eat delicious, fresh carrots in February. Danny is hoping to expand his operation by renting parcels of neighbors’ land. 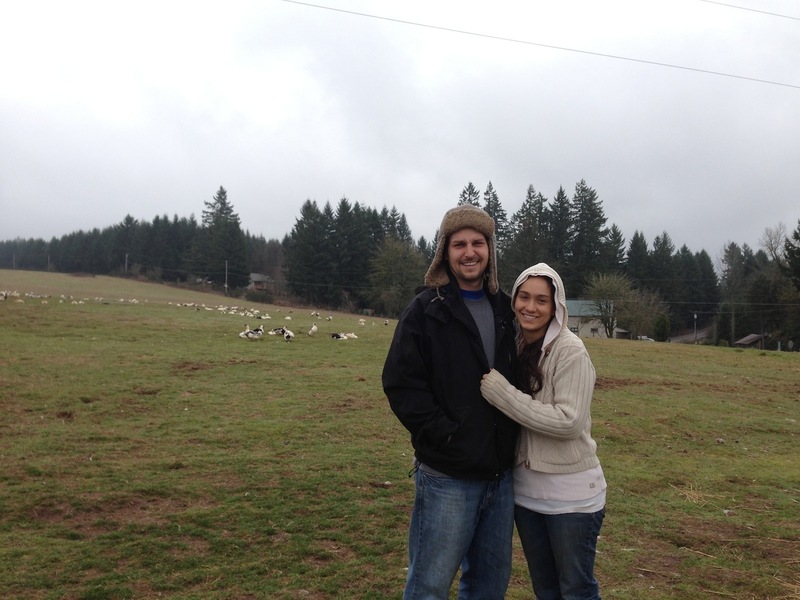 Evan and Rachel of Boondockers Farm in Beavercreek, OR are pioneers in breeding rare heritage poultry. The breeds they focus on raising are listed as critically endangered by the American Livestock Breeds Conservancy. The couple told me about how conventional hatcheries often kill male babies when they’re not needed. They believe anyone raising pasture-based birds shouldn’t ignore the inhumane practices of the commercial hatchery! They also grow and sell heirloom seeds, breed heritage turkeys, and raise Great Pyrenees dogs to protect their flocks. My last stop was Lonesome Whistle Farm down in Junction City, OR where Jeff and Kasey are working to preserve and promote rare and unique dry bean and grain varieties through a bean and grain CSA. 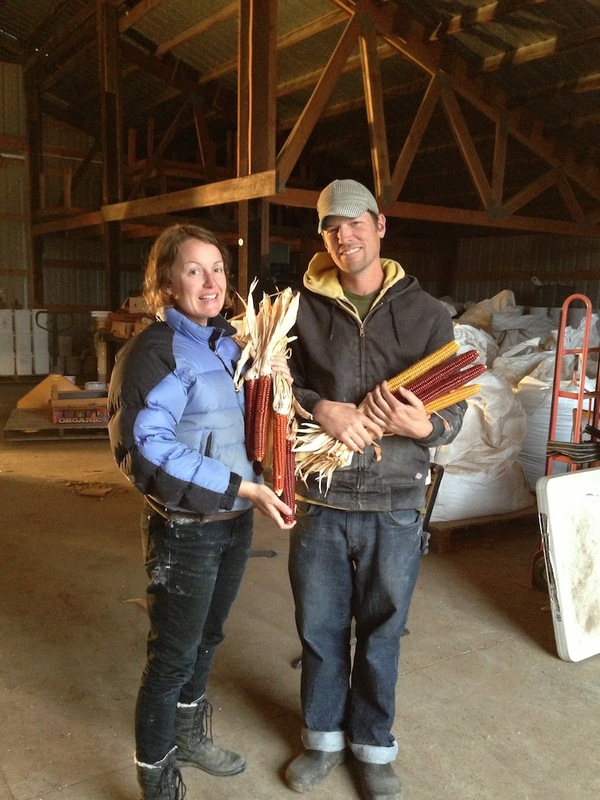 Starting out as veggie farmers, Jeff and Kasey quickly taught themselves bean and grain growing, and are happy to be producing quality product not easily found locally. They grow: Dakota Black Popcorn, Red Fife Wheat Flour, Purple Harless Barley, Emmer Berries, a diverse array of heirloom beans, polenta, and more! Farmers in Oregon are busy fighting plantings of Roundup Ready GM Canola in the Willamette Valley which threatens its lively organic seed industry. And GM sugarbeets are grown just up the road from Lonesome Whistle Farm. There’s certainly plenty to organize around here, but the state’s supportive policies and markets for local food make Oregon a great place to be a young farmer.